> Fototapeta>Tematy>3D>3d Abstract Background Network concept . Future background Technology illustration. 3d landscape. Big data. 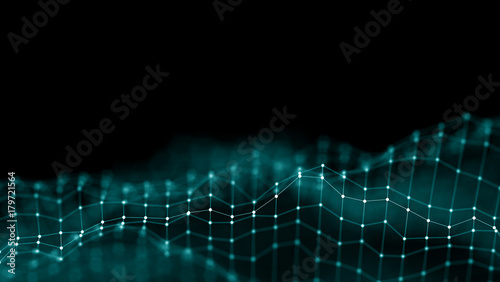 Wireframe Landscape with connections dots and lines on dark background.